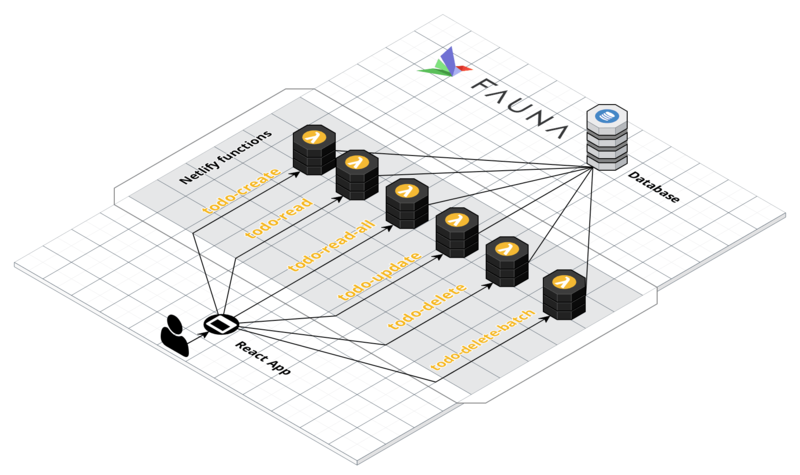 David Wells, from Netlify, and I take some baby steps into building things with Serverless. We'll mostly be looking at cloud functions here and how using them from an otherwise static hosting environment means you've unlocked all sorts of possibilities. The TODO list example, using netlify-faunadb-example. "This application is using React for the frontend, Netlify Functions for API calls, and FaunaDB as the backing database."